A new ILO report shows that 2 billion people work informally, most of them in emerging and developing countries. The majority lack social protection, rights at work and decent working conditions. © Carsten ten Brink | Photo from ILO. GENEVA, 30 April 2018 (ILO)* – Two billion people – more than 61 per cent of the world’s employed population – make their living in the informal economy, the ILO said in a report, stressing that a transition to the formal economy is a condition to realize decent work for all. In Africa, 85.8 per cent of employment is informal. The proportion is 68.2 per cent in Asia and the Pacific, 68.6 per cent in the Arab States, 40.0 per cent in the Americas and 25.1 per cent in Europe and Central Asia. Informal employment is a greater source of employment for men (63.0 per cent) than for women (58.1 per cent). Out of the two billion workers in informal employment worldwide, just over 740 million are women. Women are more exposed to informal employment in most low- and lower-middle income countries and are more often found in the most vulnerable situations. The level of education is a key factor affecting the level of informality. Globally, when the level of education increases, the level of informality decreases, the report says. People who have completed secondary and tertiary education are less likely to be in informal employment compared to workers who have either no education or completed primary education. People living in rural areas are almost twice as likely to be in informal employment as those in urban areas. Agriculture is the sector with the highest level of informal employment – estimated at more than 90 per cent. 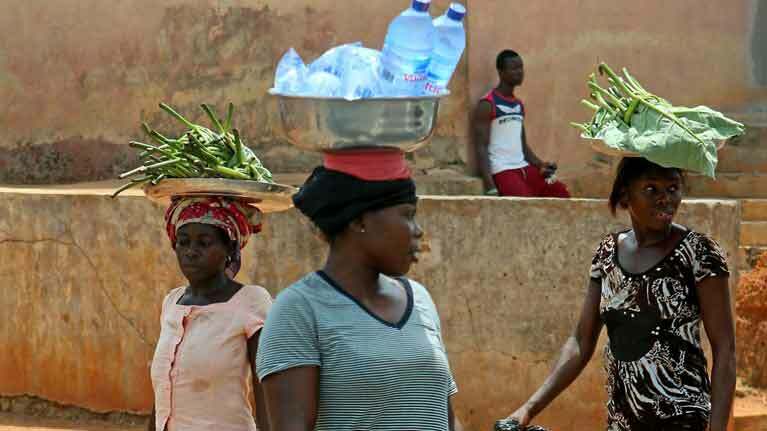 Two of the report’s authors, Florence Bonnet and Vicky Leung, point out that while not all informal workers are poor, poverty is both a cause and a consequence of informality. “The report shows that the poor face higher rates of informal employment and that poverty rates are higher among workers in informal employment,” said Leung. Bonnet, for her part, stressed: “There is an urgent need to tackle informality. For hundreds of millions of workers, informality means a lack of social protection, rights at work and decent working conditions, and for enterprises it means low productivity and lack of access to finance. This report is all the more timely given the momentum created by the Transition from the Informal to the Formal Economy Recommendation, 2015 (No. 204) , and the Sustainable Development Goals that includes a specific statistical indicator on informal employment (8.3.1).